Dimensions 809'6" by 83'5" by 21'8"
Triple underwater protection with 0.75" (19mm) nickel steel bulkheads. These bulkheads extended upwards behind the armor belt to the protective deck. 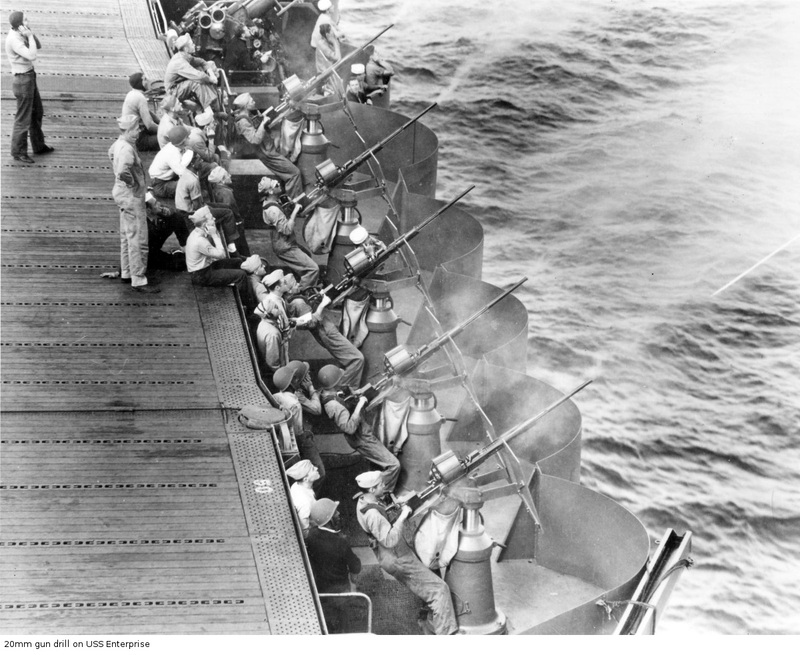 1942-6: 0.50 machine guns replaced with 20mm Oerlikon AA guns (24 on Yorktown and Hornet, 32 on Enterprise). Hangar deck catapults removed. 1942-7: Hornet fitted with the CXAM radar from crippled battleship California. 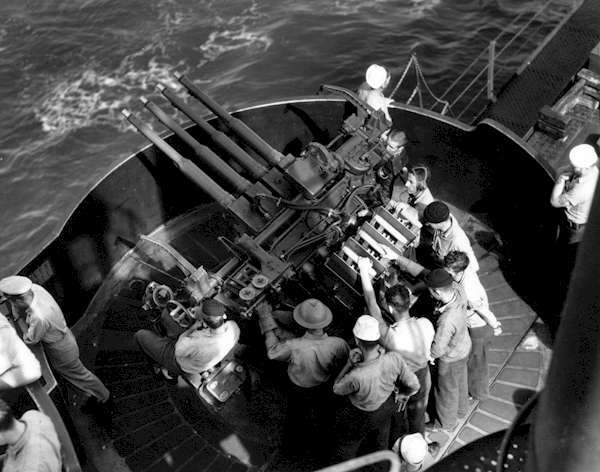 1942-8: Surviving units received an additional 1x4 1.1" gun. Enterprise now has 38 20mm guns and Hornet has 32 20mm guns. 1942-11: Enterprise is equipped with SC-2 radar, replaces her 1.1" guns with 4x4 40mm Bofors AA guns and increases her 20mm battery to 46 guns. 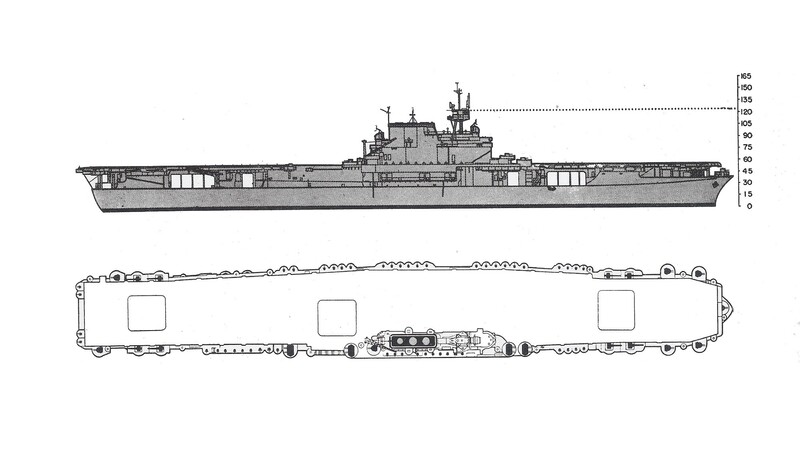 Torpedo blisters increased her beam to 95'5" and her full displacement to 32,060 tons. 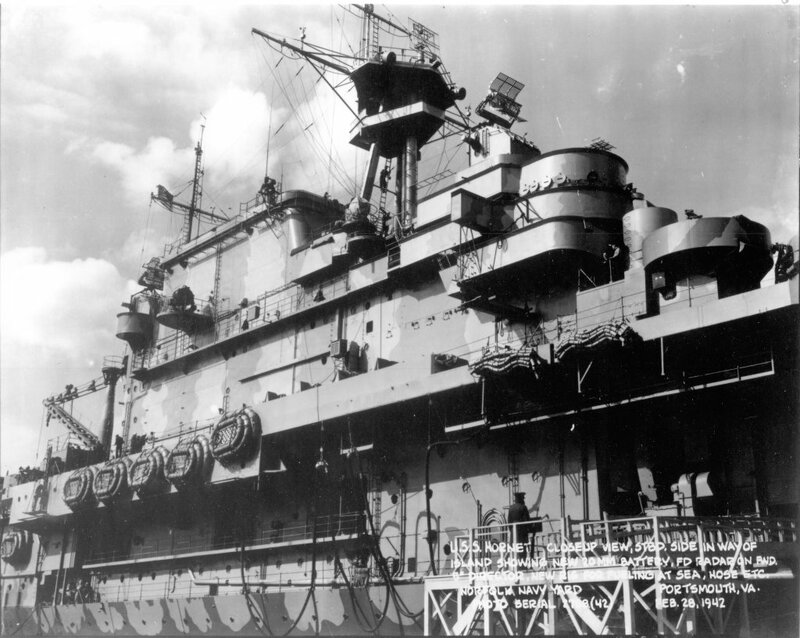 1943-10: Enterprise equipped with SK and SM radar. Light AA battery upgraded to 6x4, 8x2 40mm and 48x1 20mm guns. Flight deck expanded to 820' (250m) and torpedo blisters added. Full displacement increased by 6576 tons. 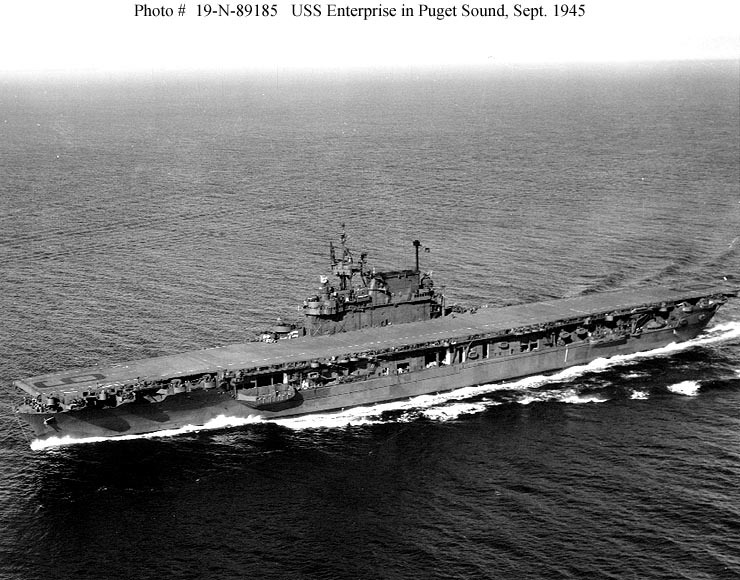 1945: Enterprise equipped with SP radar. Light AA battery consisted of 11x4, 5x2 40mm and 16x2 20mm guns by the end of hostilities. The Yorktowns were completed in 1937-1941. 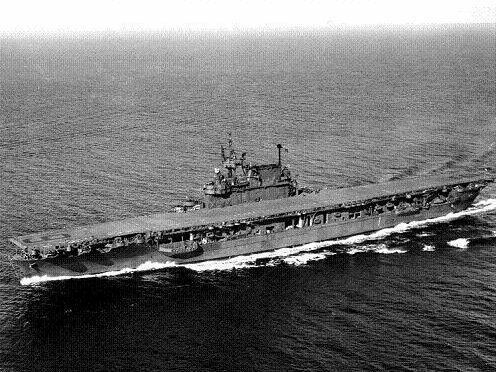 They were the second generation of purpose-built aircraft carriers in the United States fleet and incorporated some of the lessons learned from the Ranger and the Lexingtons. In some respects they were a reaction against the Ranger, which sacrificed almost all other qualities in favor of carrying the maximum possible number of aircraft on the minimum possible displacement. The result was a badly unbalanced design. 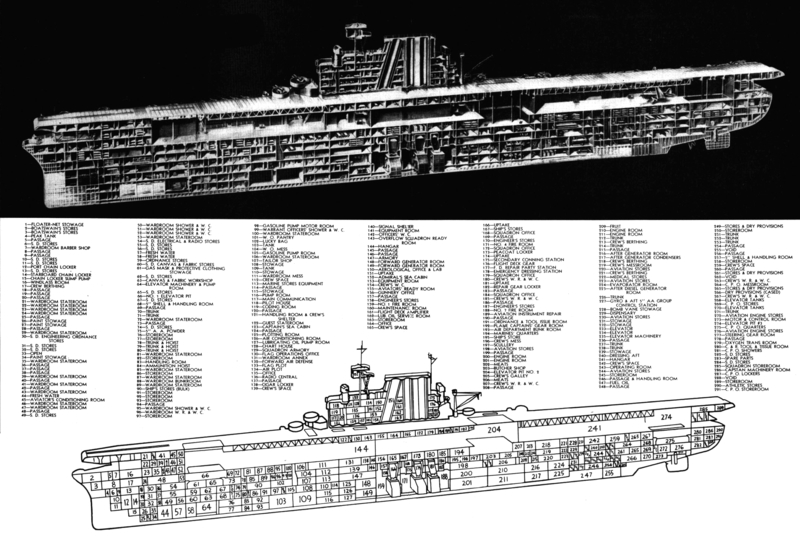 This was evident even before Ranger was completed, and the Navy began looking at using its total treaty carrier tonnage limit on three faster and better protected carriers instead of five "minimum" carriers. 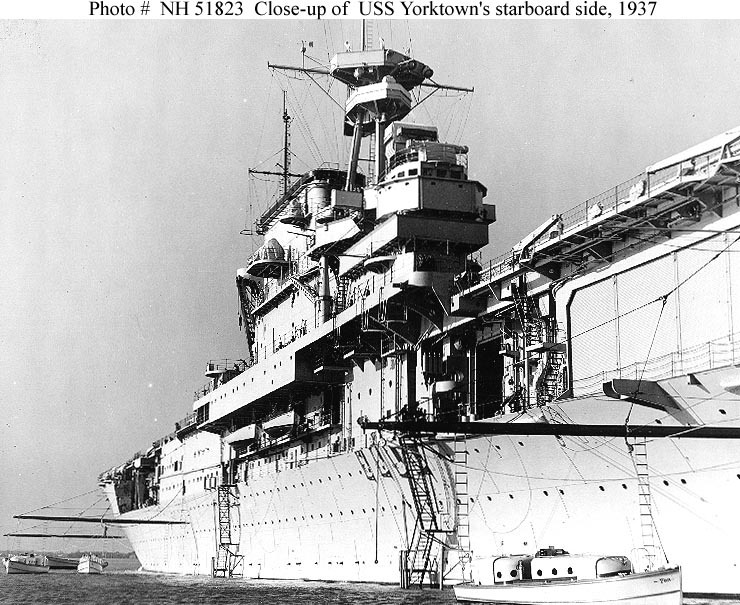 The Yorktowns also did away with folding funnels and had a less cramped machinery arrangement. 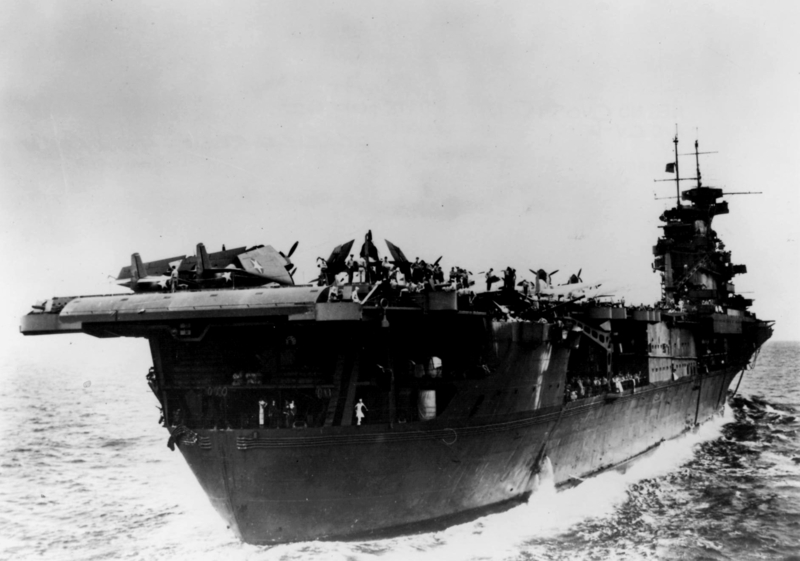 However, the Yorktown design resembled Ranger in having a flight deck that was built as a light superstructure rather than as an integral part of the hull. 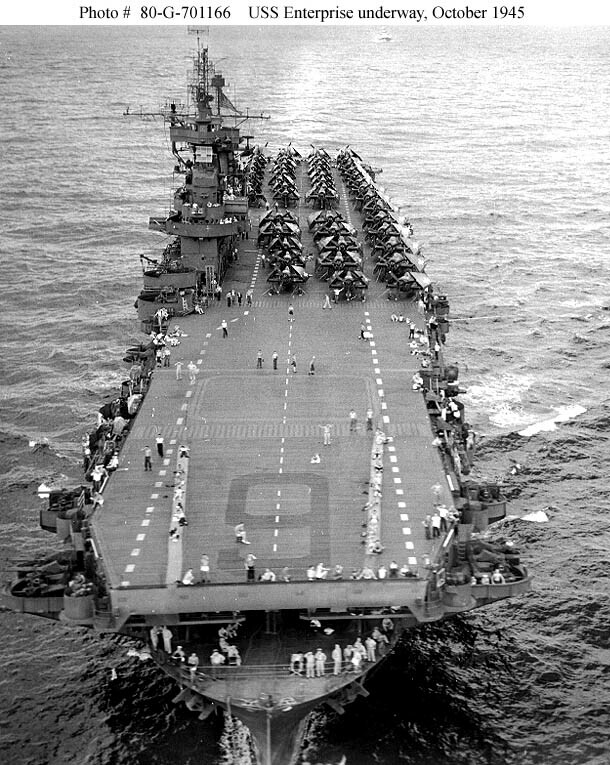 The Yorktowns were three and a half knots faster than Ranger and could carry at least twenty more aircraft. The authorized air group on 7 December 1941 was one fighter squadron of 18 fighters, one scout and one bombing squadron of 21 dive bombers each, and a torpedo squadron of 12 torpedo bombers. Together with the air group commander's dive bomber, this totaled 73 aircraft. The fighter squadron should ideally have been 27 aircraft, but a shortage of fighters meant that this number was not available until the war had been going on for some time. Enterprise differed from her sisters in having an air group with more torpedo bombers and fewer dive bombers (18 aircraft in each squadron.) Later in the war, Enterprise operated as many as 87 aircraft. Armor protection against 6" (152mm) shells was provided in the form of a 2.75" to 4" (64mm to 102mm) belt, 4" (102mm) bulkheads, and a 1.5" (36mm) armored deck over the vital spaces. 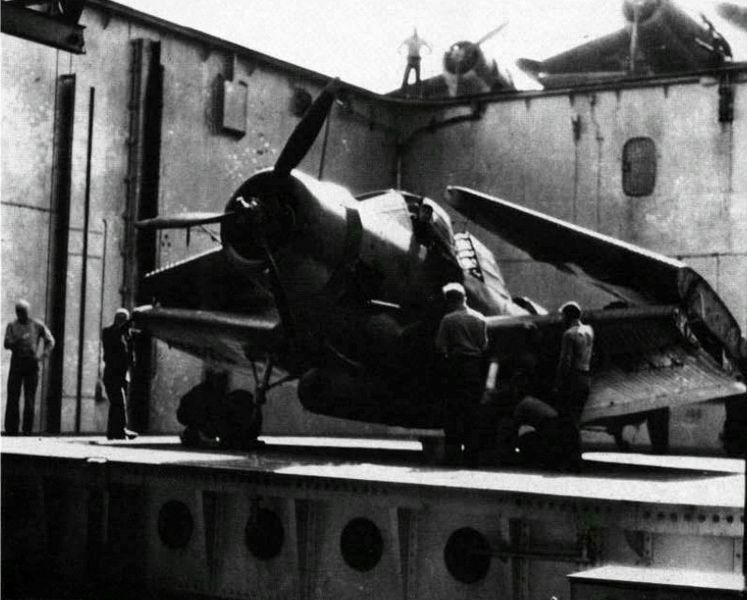 However, neither their flight decks nor their hangar decks were armored, and the ships had the vulnerable wooden flight decks that characterized both American and Japanese (but not British) carriers. Subdivision was superior to that of the Lexingtons and Ranger, and considerable attention was given to providing underwater protection against torpedoes and near misses from bombs. This required adopting an unusual hull form with very fine (sharp) bows and sterns and increasing the machinery power to compensate for the less optimal hull form. The three torpedo bulkheads were resistant enough to shell fire that the armor belt could be thinned to 3.25" (83mm) over the forward magazines and 2.75" (70mm) over the vital spaces further aft. The greatest weakness was that the fire rooms were all forward of the engine rooms, rather than alternating, which left the ships vulnerable to loss of power if a torpedo hit the bulkhead between the engine rooms or the fire rooms. This may have been the fate of Hornet. Some consideration was given to a design armed with 8" (203mm) guns, like those of the Lexingtons, but it was concluded that even a 6" (152mm) battery was not worth the sacrifice in the size of the air group. 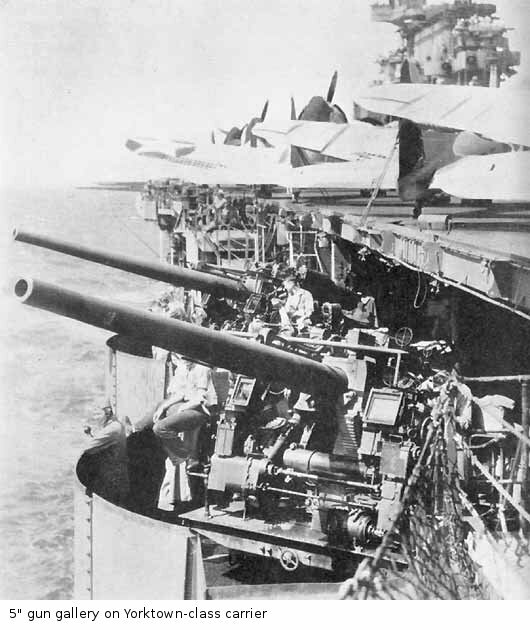 The ships therefore were armed with a battery of 5" (127mm) dual-purpose guns, for use against horizontal bombers and light warships, and a battery of light automatic weapons for use against dive bombers. The two aircraft elevators of the Lexingtons had proven inadequate, and the Yorktowns were given three elevators, with an improved cycle time of about 45 seconds. The design cost about $20,000,000 per ship, or $1000 per ton. This compares favorably with the $1600 per ton for the North Carolina class battleships and the whopping $4000 per ton for the Atlanta class antiaircraft cruisers. Only Yorktown and Enterprise were included in the original authorization. 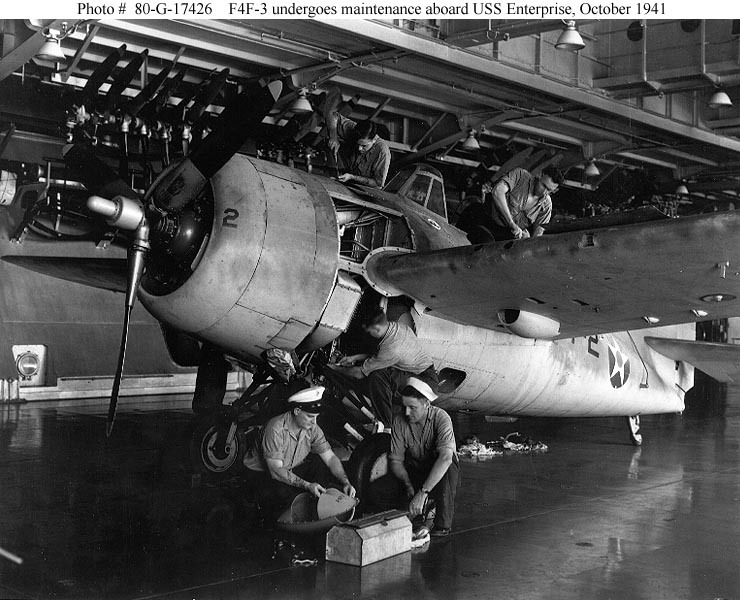 Hornet was authorized after the lapse of the naval arms limitation treaties in 1937 in an effort to expand the carrier fleet quickly, without waiting for the Essex design to be completed. She differed in some details from her near-sisters, having a slightly larger flight deck and commissioning with a more powerful antiaircraft battery. The latter distinction had largely been erased by the time war broke out in the Pacific. A proposal to alternate the fire rooms and engine rooms was rejected because of the urgency with which the ship was being built; as previously noted, this may have been her undoing. They were tough ships. 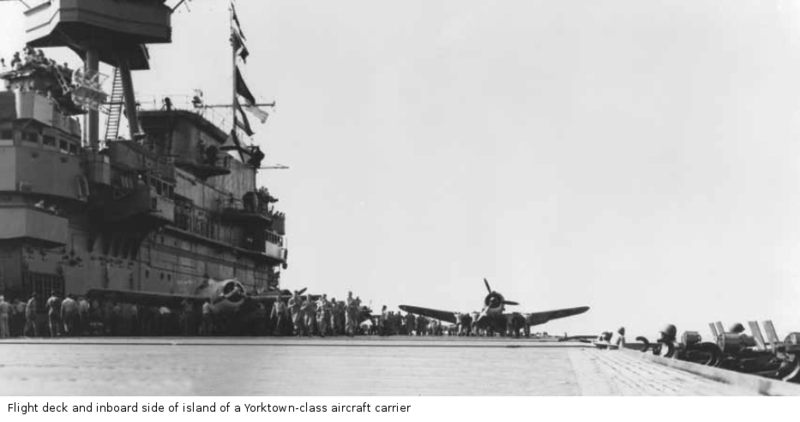 Yorktown survived bomb damage at Coral Sea and bomb and torpedo damage at Midway, only to succumb to a spread of submarine torpedoes as she was being taken under tow for repairs. Hornet was set ablaze from bow to stern at Santa Cruz but refused to sink in spite of strenuous efforts to scuttle her. Japanese destroyers finally finished the job with their deadly Long Lance torpedoes. Enterprise survived the war in spite of suffering bomb hits on several separate occasions. 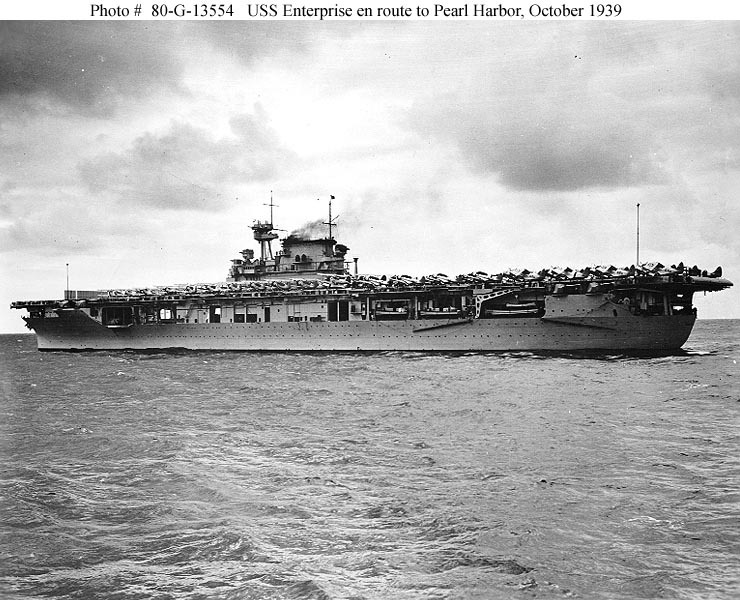 Enterprise finished the war with perhaps the proudest combat record of any American warship in the history of the Navy. An effort by Halsey to have her preserved as a floating museum failed, and she was scrapped in 1958, a crime against history.